"We are delighted that Alliance was chosen to co-lead the PALLAS trial along with our partners at ABCSG," said Monica M. Bertagnolli, MD, president and chief executive officer of AFT, and group chair and principal investigator of the Alliance for Clinical Trials in Oncology. "This exciting study examines a new CDK 4/6 inhibitor that has already demonstrated an impact for breast cancer patients with metastatic disease. The goal is to determine whether IBRANCE can also improve the disease-free survival rate in patients with surgically resectable disease." "After intensively working together among trial leadership on the scientific conception, operational preparation and seamless transatlantic cooperation for this clinical trial, we are excited that this study, with the potential to revolutionize adjuvant therapy for the most common type of breast cancer, is now ready to start," said Professor Michael Gnant, MD, FACS, president of the ABCSG, and head of the Breast Health Center Vienna. "We are convinced that this global venture has potential to bring great benefit to our breast cancer patients." IBRANCE was approved in February 2015 by the U.S. Food and Drug Administration (FDA) for the treatment of postmenopausal women with estrogen receptor-positive (ER+)/HER2- advanced breast cancer as initial endocrine-based therapy for their metastatic disease. This indication is approved under accelerated approval based on progression-free survival, the length of time during or after treatment a patient lives with a disease but does not get worse. [ii] Continued approval for this indication may be contingent upon verification and description of clinical benefit in a confirmatory trial. The confirmatory Phase 3 trial, PALOMA-2, is fully enrolled. "We have seen exciting news about IBRANCE in 2015, not only from the accelerated approval based on PALOMA-1, but also from the results of the PALOMA-3 study, a Phase 3 trial showing the addition of IBRANCE to the hormone medicine fulvestrant in pre-treated patients with metastatic HR+/HER2- breast cancer improved clinical outcomes," said Erica L. Mayer, MD, MPH, co-principal investigator of the trial for AFT, Assistant Professor of Medicine at the Harvard Medical School and Senior Physician at the Susan F. Smith Center for Women's Cancers and at the Dana-Farber Cancer Institute. "The primary endpoint of the PALLAS trial is to look at the time to disease recurrence in patients who have stage 2 or stage 3 breast cancer," Dr. Mayer said. "The study is also enriched with an expansive correlative science program that includes analyses of patient tissue and blood samples, as well as an in depth analysis of patient adherence to oral medication and patients' quality of life while on study." The PALLAS trial is a prospective, two-arm, international, multicenter, randomized, open-label Phase 3 study. The trial is open to premenopausal and postmenopausal women or men with stage II or stage III HR+/HER2- early breast cancer. Participants will be randomized (selected by chance) to one of two treatment arms. One study arm will treat patients with IBRANCE (at a dose of 125 mg orally once daily, day 1 to day 21 followed by seven days off treatment in a 28-day cycle) for two years and standard endocrine adjuvant therapy for at least five years. The other study arm will treat patients with standard endocrine adjuvant therapy alone for at least five years. Participants will be recruited worldwide. Approximately 4,600 people are expected to enroll in the trial. "We're looking for ways that we can prevent recurrence of breast cancer in every patient. IBRANCE appears to be very promising in that regard because it boosted the effect of anti-estrogen treatments in women who already have recurrent, metastatic breast cancer," said Angela DeMichele, MD, MSCE, co-principal investigator for PrECOG, Miller Associate Professor of Breast Cancer Excellence in the Rowan Breast Center and Associate Professor of Medicine and Epidemiology at the Abramson Cancer Center of the University of Pennsylvania. The scope of the PALLAS trial is global. AFT and the ABCSG have brought together a collaborative group of breast cancer specialists from around the world to team up with Pfizer to form a unique public-private cancer research partnership aimed at bringing more innovative therapies to patients in more efficient ways. "Collaborations of this kind are crucial to advance the science and general understanding of how we can best treat breast cancer," said Maria Koehler, MD, PhD, vice president of Strategy, Innovation and Collaborations for Pfizer Oncology. "Working together, we will be able to efficiently answer important clinical questions in order to potentially bring IBRANCE to patients with early stage breast cancer who need the treatment most." "Pfizer is honored to partner with prominent breast cancer research groups to explore the use of IBRANCE for women and men with HR+/HER2- early-stage breast cancer, which affects millions of patients each year globally. This collaboration allows Pfizer to tap into many of the most respected scientific minds and well-established large global research networks to conduct a large, international phase III trial," said Dr. Mace Rothenberg, senior vice president of Clinical Development and Medical Affairs and chief medical officer for Pfizer Oncology. Currently, the new study is open to physicians and medical facilities throughout the U.S. if they are associated with Alliance, NSABP or PrECOG. The study will be available to non-U.S. sites beginning in October through an extended academic core network, including the ABCSG and BIG. Pfizer, the manufacturer of IBRANCE, is providing AFT and ABCSG with funding support for this trial. AFT is sponsoring the trial in the U.S. and ABCSG for all non-U.S. sites. For questions about this trial, please contact PALLAS_AFT@alliancefoundationtrials.org or visit https://clinicaltrials.gov/show/NCT02513394. Alliance Foundation Trials, LLC (AFT) is a research organization that develops and conducts cancer clinical trials, working closely with pharmaceutical partners, research collaborators and the Alliance for Clinical Trials in Oncology member network. AFT seeks to fulfill the vision of the Alliance for Clinical Trials in Oncology to reduce the impact of cancer on people by uniting a broad community of scientists and clinicians from many disciplines, committed to discovering, validating and disseminating effective strategies for the prevention and treatment of cancer. AFT is funded wholly by private entities and does not use any public funding resources. 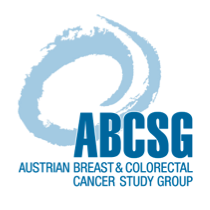 The Austrian Breast & Colorectal Cancer Study Group (ABCSG) is Austria's biggest and best-established academic research organization that internationally successfully performs clinical trials focusing on the subject of breast and colorectal cancer, and more recently also on pancreatic cancer and liver metastasis. ABCSG has over time and dedication achieved a very high public reputation and patient commitment. In some indications, more than 35 percent of all breast cancer patients with a given diagnosis are recruited into ABCSG trials. Since 1984, more than 25,000 patients have participated in ABCSG studies, and over 900 physicians are part of the extensive ABCSG's network. For further information, visit www.abcsg.com. The Breast International Group (BIG) is an international non-profit organization for academic breast cancer research groups from around the world. BIG facilitates and accelerates breast cancer research at the international level by stimulating cooperation between its 56 member groups and other academic networks, and collaborating with, but working independently from, the pharmaceutical industry. Linked to more than 3,000 hospitals, BIG is the largest international network dedicated solely to breast cancer. Working together towards one goal: to cure breast cancer! For more information, visit www.bigagainstbreastcancer.org. The NSABP Foundation is a not-for-profit Academic Research Organization, which continues to build upon its nearly 60-year history of conducting with its member institutions ground-breaking research studies and educational activities in breast and colorectal cancers, which are designed to improve the outcome for cancer patients via improved therapeutic and prevention modalities. Over the last fifteen years, the Foundation has established full service capabilities to conduct independently-funded international research with the private sector to evaluate promising new agents. More recently, the Foundation continues to maintain a close working relationship with NCI initiatives as a founding member of NRG Oncology. Also, it has expanded its service offerings to the private sector across a wide range of capabilities from pre-clinical research through phase III clinical trials focused on biomarker driven studies. For more information visit www.nsabp.org. PrECOG is a not-for-profit limited liability company formed in 2006 by the ECOG Research and Education Foundation, Inc. Through this relationship, key opinion leaders and the entire network of ECOG investigators and institutions underpin PrECOG. Funded entirely outside of the public health system, PrECOG uses an operational structure separate from ECOG for all facets of clinical trial management. PrECOG typically functions as the sponsor and holds the IND, or works under company owned INDs with transfer of obligations. For more information, visit www.precogllc.org. Pfizer Oncology is committed to the discovery, investigation and development of innovative treatment options to improve the outlook for cancer patients worldwide. Our strong pipeline of biologics and small molecules, one of the most robust in the industry, is studied with precise focus on identifying and translating the best scientific breakthroughs into clinical application for patients across a wide range of cancers. By working collaboratively with academic institutions, individual researchers, cooperative research groups, governments, and licensing partners, Pfizer Oncology strives to cure or control cancer with breakthrough medicines, to deliver the right drug for each patient at the right time. For more information, visit www.pfizer.com. IBRANCE (palbociclib) is an oral inhibitor of CDKs 4 and 6. [ii] CDKs 4 and 6 are key regulators of the cell cycle that trigger cellular progression. [iii],[iv] IBRANCE is indicated in the U.S. for use in combination with letrozole for the treatment of postmenopausal women with estrogen receptor-positive, human epidermal growth factor receptor 2-negative (ER+/HER2-) advanced breast cancer as initial endocrine-based therapy for their metastatic disease. [ii] IBRANCE is not approved for the use being investigated in the PALLAS trial. The effectiveness of IBRANCE in these patients is based on a study that measured progression-free survival.ii Continued approval for this indication may be contingent upon verification and description of clinical benefit in a confirmatory trial. Neutropenia: Neutropenia is frequently reported with IBRANCE therapy. In the randomized phase II study, Grade 3 (57%) or 4 (5%) decreased neutrophil counts were reported in patients receiving IBRANCE plus letrozole. Febrile neutropenia can occur. Monitor complete blood count prior to starting IBRANCE and at the beginning of each cycle, as well as Day 14 of the first two cycles, and as clinically indicated. For patients who experience Grade 3 neutropenia, consider repeating the complete blood count monitoring 1 week later. Dose interruption, dose reduction, or delay in starting treatment cycles is recommended for patients who develop Grade 3 or 4 neutropenia. Infections: Infections have been reported at a higher rate in patients treated with IBRANCE plus letrozole (55%) compared with letrozole alone (34%). Grade 3 or 4 infections occurred in 5% of patients treated with IBRANCE plus letrozole vs no patients treated with letrozole alone. Monitor patients for signs and symptoms of infection and treat as medically appropriate. Pulmonary embolism (PE): PE has been reported at a higher rate in patients treated with IBRANCE plus letrozole (5%) compared with no cases in patients treated with letrozole alone. Monitor patients for signs and symptoms of PE and treat as medically appropriate. Pregnancy and lactation: Based on the mechanism of action, IBRANCE can cause fetal harm. Advise females with reproductive potential to use effective contraception during therapy with IBRANCE and for at least 2 weeks after the last dose. Advise females to contact their healthcare provider if they become pregnant or if pregnancy is suspected during treatment with IBRANCE. Advise women not to breastfeed while on IBRANCE therapy because of the potential for serious adverse reactions in nursing infants from IBRANCE. Additional hematologic abnormalities: Decreases in hemoglobin (83% vs 40%), leukocytes (95% vs 26%), lymphocytes (81% vs 35%), and platelets (61% vs 16%) occurred at a higher rate in patients treated with IBRANCE plus letrozole vs letrozole alone. Adverse reactions: The most common all causality adverse reactions (≥10%) of any grade reported in patients treated with IBRANCE plus letrozole vs letrozole alone in the phase II study included neutropenia (75% vs 5%), leukopenia (43% vs 3%), fatigue (41% vs 23%), anemia (35% vs 7%), upper respiratory infection (31% vs 18%), nausea (25% vs 13%), stomatitis (25% vs 7%), alopecia (22% vs 3%), diarrhea (21% vs 10%), thrombocytopenia (17% vs 1%), decreased appetite (16% vs 7%), vomiting (15% vs 4%), asthenia (13% vs 4%), peripheral neuropathy (13% vs 5%), and epistaxis (11% vs 1%). Grade 3/4 adverse reactions reported (≥10%) occurring at a higher incidence in the IBRANCE plus letrozole vs letrozole alone group include neutropenia (54% vs 1%) and leukopenia (19% vs 0%). The most frequently reported serious adverse events in patients receiving IBRANCE were pulmonary embolism (4%) and diarrhea (2%). General dosing information: The recommended dose of IBRANCE is 125 mg taken orally once daily for 21 days followed by 7 days off treatment in 28-day cycles. IBRANCE should be taken with food and in combination with letrozole 2.5 mg once daily continuously. Patients should be encouraged to take their dose at approximately the same time each day. Capsules should be swallowed whole. No capsule should be ingested if it is broken, cracked, or otherwise not intact. If a patient vomits or misses a dose, an additional dose should not be taken that day. The next prescribed dose should be taken at the usual time. Management of some adverse reactions may require temporary dose interruption/delay and/or dose reduction, or permanent discontinuation. Dose modification of IBRANCE is recommended based on individual safety and tolerability. Drug interactions: Avoid concurrent use of strong CYP3A inhibitors. If patients must be administered a strong CYP3A inhibitor, reduce the IBRANCE dose to 75 mg/day. If the strong inhibitor is discontinued, increase the IBRANCE dose (after 3-5 half-lives of the inhibitor) to the dose used prior to the initiation of the strong CYP3A inhibitor. Grapefruit or grapefruit juice may increase plasma concentrations of IBRANCE and should be avoided. Avoid concomitant use of strong and moderate CYP3A inducers. The dose of the sensitive CYP3A substrates with a narrow therapeutic index may need to be reduced as IBRANCE may increase their exposure. Hepatic and renal impairment: IBRANCE has not been studied in patients with moderate to severe hepatic impairment or in patients with severe renal impairment (CrCl <30 mL/min). PFIZER DISCLOSURE NOTICE: The information contained in this release is as of August 26, 2015. Pfizer assumes no obligation to update forward-looking statements contained in this release as the result of new information or future events or developments. This release contains forward-looking information about IBRANCE (palbociclib), including a potential additional indication for the treatment of HR+/HER2- early breast cancer and its potential benefits, that involves substantial risks and uncertainties that could cause actual results to differ materially from those expressed or implied by such statements. Risks and uncertainties include, among other things, uncertainties regarding the commercial success of IBRANCE; the uncertainties inherent in research and development, including further investigation of the clinical benefit of IBRANCE, the ability to meet anticipated clinical trial commencement and completion dates and regulatory submission dates, as well as the possibility of unfavorable clinical trial results, including unfavorable new clinical data and additional analyses of existing clinical data; whether the PALOMA-2 Phase 3 trial of IBRANCE will demonstrate a statistically significant improvement in progression-free survival and whether the other trials of IBRANCE will meet their primary endpoints; whether regulatory authorities will be satisfied with the design of and results from our clinical studies; whether and when drug applications or supplemental drug applications may be filed with the U.S. Food and Drug Administration or any other jurisdictions for initial or additional indications for IBRANCE, including the potential additional indication; whether and when any such applications may be approved by regulatory authorities, which will depend on the assessment by such regulatory authorities of the benefit-risk profile suggested by the totality of the efficacy and safety information submitted; decisions by regulatory authorities regarding labeling and other matters that could affect the availability or commercial potential of IBRANCE; and competitive developments. [i] Decision Resources. Event Driven Pharmacor Report. 2012. [ii] IBRANCE®(palbociclib) Prescribing Information. New York. NY: Pfizer Inc: 2015. [iii] Weinberg RA. pRb and Control of the Cell Cycle Clock. In: Weinberg RA, ed. The Biology of Cancer. 2nd ed. New York, NY: Garland Science; 2014:275-329. [iv] Sotillo E, Grana X. Escape from Cellular Quiescence. In: Enders GH, ed. Cell Cycle Deregulation in Cancer. New York, NY: Humana Press; 2010:3-22.